Week 2 of the PlayStation Summer Sale comes roaring in with a much better selection of games, be it the massive big budgeted ones that everyone likes or those quirky, goofy Japanese ones that I like. Sweet, let's jump on in and tear this one apart. Those with a Vita should be pretty pleased with NipponIchi's PSP selection. 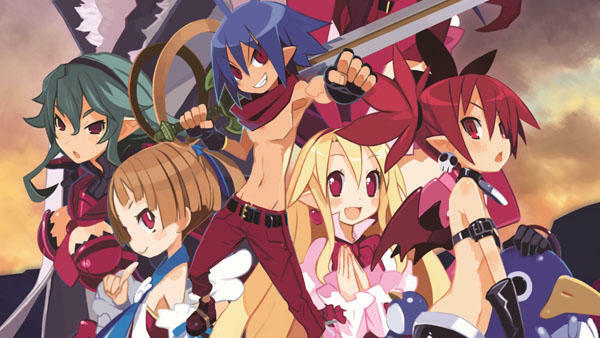 The Disgaea games, the Prinny games, and Phantom Brave provide a nearly infinite level of replayability and depth. With them, you might never need to own another system again! I've never played the Cladun games, but with the price this low, this is the perfect chance to do so. Moving on up into actual PS Vita games, again, Disgaea 3 and 4 are there for the taking, but you'll get just as much value out of the cheaper PSP games. Stick with them first before paying more for their sequels, and instead, give a glance at NIGORO's Jappanese indie masterpiece LA-MULANA. It's a wonderfully challenging game that will beat you into a pulp and leave you asking for more. Props to anyone who can beat it without a walkthrough. I couldn't. For PSOne Classics, Capcom is back for more, but I wouldn't buy Mega Man 1-4 unless you want to play them on the Vita. The Mega Man Legacy Collection will be released soon for PlayStation 4, Xbox One, and PC for $15, and it will have better ports of those games and more besides. Instead, focus on Mega Man 8 and Strider 2, both really good games. I've never played Cyberbots, but it looks sweet. For the PlayStation 3, only Okami HD and Beyond Good and Evil HD really stand out as games I like this week. The PlayStation 4 doesn't have that much, but I really want to play Pier Solar and the Great Architects… just on my Vita. Great week for Vita owners. If you're craving countless hours of quirky anime humor and addicting strategy RPG gameplay, NipponIchi has your back cheaper than ever this week.